This is a brand new transition for us from co-sleeping to Oliver’s own bedroom. It is quite early on my sleep training but has been quite successful so far! a few moms who are in the same situation as me asked me how I did it, I thought I’d write a post about it! First of all I’d like to explain why I chose co-sleeping. 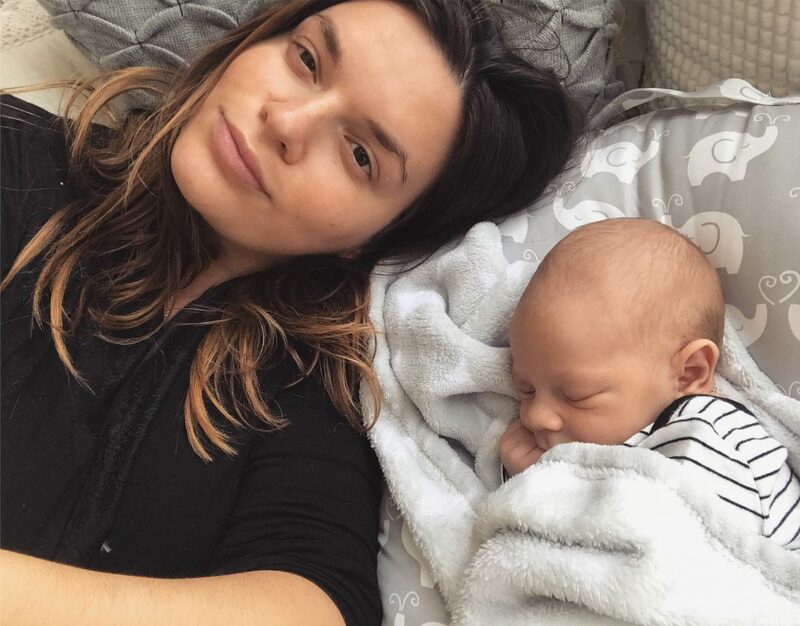 It wasn’t a decision I made while I was pregnant, Oliver had a very high separation anxiety from day 1 to about 3 months, It was practically impossible to put him down for hours and he’d sleep not more than 15 min in his bassinet every time I’d put him down. So I had to figure out a way that worked for us. I did my research and co-sleeping in some cultures and countries is a total norm! it also felt the most natural for me and the easiest while breastfeeding. Oliver slept much better next to me in the bed and we were all able to get some sleep as well. there’s research that will say that it is safer with SIDS for the baby to sleep next to the mother while others contradict it. There’s too many opinions for me to get into that. 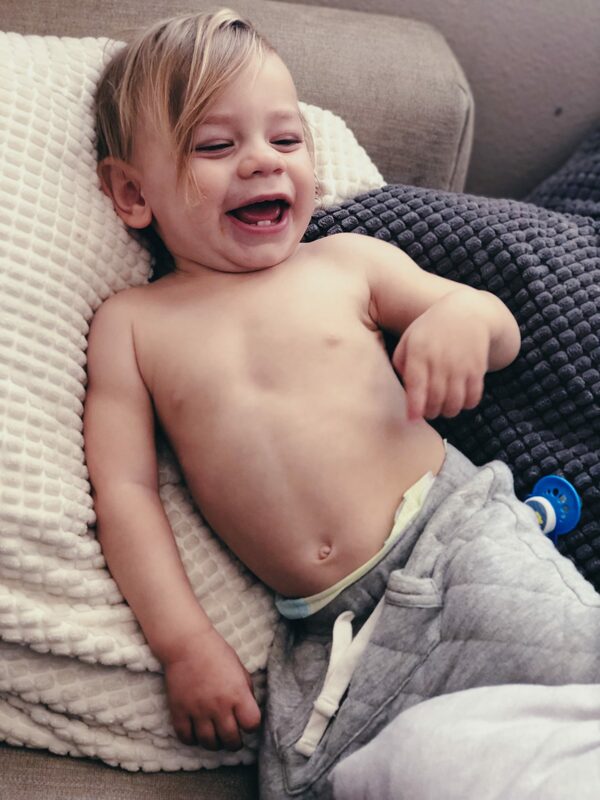 I actually stopped breathing when I was a baby and luckily my mom had a weird feeling that came on to her and asked my dad to go check on me…Now I get to write you this great post about sleep training and my baby! isn’t life amazing? The book “The womanly art of breastfeeding” is fascinating when it comes to explaining all of that. My point is, society and the people with “my one friend’s baby” horrific stories have an amazing way to scare us about everything while some things are out of our control and others are freak accidents. As a new mom, it’s difficult to quiet down the noise. There are two school of thought and that’s totally okay! I had people look at me like I was crazy to have a baby sleep with me because that automatically meant that he was going to walk all over me and never sleep alone. *SIGH* what happened to no mom shaming? The problem that I’ve noticed while raising a child outside of your native country is that you encounter a lot of differences. Some countries are much more focused on the child well-being when others focus on the parent well-being. Full Feedings: your baby needs to be optimally fed throughout the day to not wake up at night. Your baby needs a certain amount of Oz of milk or time on your breast to be fully fed at each feed. This way you know your baby is not waking up because they’re hungry. If your baby is young and not sleeping through the night, you can start a dream feed around 10-11pm. A dream feed is when you feed your baby while he’s asleep or as gently as possible. It’s an extra full feeding that will keep them sleeping longer and hopefully move back the middle in the night wake up and eventually remove it completely. Patience to find all kinds of ways to soothe your baby and not feed them, considering you know they’re not hungry; which is why you make sure to give them full feedings. Finding balance between standing your ground & being understanding of your baby’s emotions. It’s ok for them to express themselves. You’re right there to guide them. Do it because it feels right & that you’re ready and baby is ready. Your baby will have to be at a healthy weight which your pediatrician can let you know. A 7 weeks old baby could potentially sleep through the night, as long as they can physically take full feedings. I was able to teach Oliver how to fall asleep on his own at the same time every night, just with a back rub, “shhhh” and patience. Oliver had no anxiety about nighttime and rarely ever cried to go to sleep. I never rocked him at bedtime or throughout the night if he would wake up unless he cried a lot which was rare and that indicated either teething, discomfort or sickness. I also implemented a night routine which is very important. Day & night routine will ensure that your baby can differentiate from day to night. They are creatures of habits, you create their habits and they know what to expect. This is the same rule as if you feed them every time the wake up. If you were fed every night at the same time you’d wake up too. 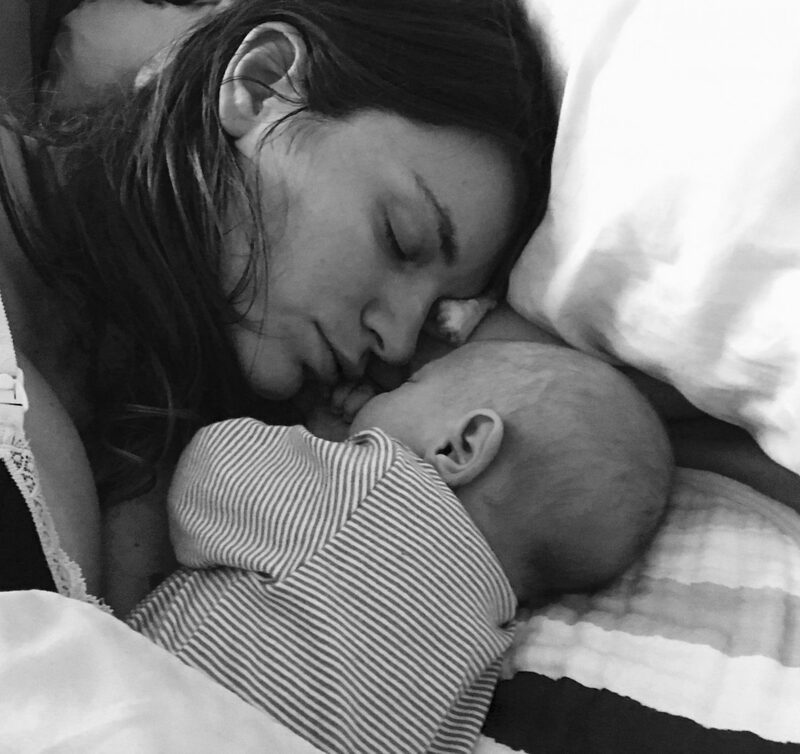 As much as I loved co-sleeping, Oliver was breastfeeding less and waking up. Kyle and I were positive that we didn’t want to let him cry it out even though sometimes felt like it would be impossible not to! Shout out to my girlfriend is Montreal, Catherine, who has the cutest baby btw, she called me because she knew and remembered how it felt when you lose all hope and really upped my spirit to do it and feel confident about it! It’s amazing when other moms support you! 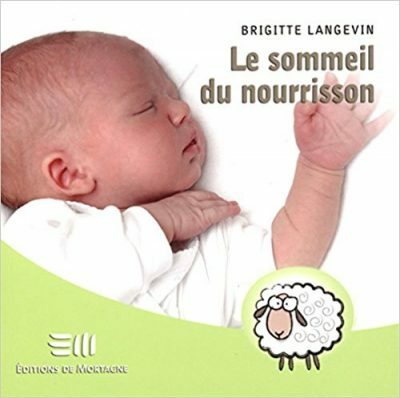 She suggested the 15 seconds technique from Brigitte Langevin. Here are the detailed 6 days of sleep training and what I did. Keep in my mind that I wanted to go gradually and gently. I didn’t want to leave or create any negative feelings with his room and bed. I had been letting him play in his room and in his crib a few days before. AFTERNOON NAP: Rocked him to sleep but kept waking up as soon as I’d put him down. Tried to rub his back and “shhh” but it was a complete fail! ended up skipping his nap. NIGHTIME: 7:00 pm explained to him that this is his room and his bed. I’m right next door, he’s okay. I put him down awake- rubbed his back- shhhhhh- Gave him his favorite blanket (very thin blanket made of bamboo; use blanket if your baby is aware and strong enough to get it off his face)- put white noise on. He was not happy, he eventually calmed down and fell asleep. I Stayed by his side the whole time to reassure him. He was just letting me know about him not being happy and that’s okay! 12:00am: woke up hysterical, attempted the 15 seconds technique- (please reap on top to know what it is) Kyle and I couldn’t bare him crying when we’d walk away. Him and I were distraught and not on the same wave line, we ended up getting into an argument and realized that we needed to communicate beforehand how to go about it. Communication is key when parenting and sleep training! we made it to 1 min 45 seconds and I gave up and he came back to bed with us. MORNING NAP: took me 2 hours and 30 min to put him down!!!!! we went from falling asleep to waking up, then playing and so forth. drove me nuts. AFTERNOON NAP: Complete fail again. Skipped nap. NIGHTIME: 7:00pm Fell asleep easily with a little back rub- way less crying than the night before- woohoo! 7:40pm: woke up- cried for a minute or two and soothe back to sleep on his own. 8:20pm: woke up again- cried for a minute or two and soothe back to sleep on his own. 10:00 pm : woke up again- cried for a minute or two and soothe back to sleep on his own. 11:00 pm: woke up with a vengeance! crying, super unhappy, back rub and I was EXHAUSTED so I brought him back with me in bed. 4:00 am: Woke up in my bed, fed him and brought him back to his crib. back rub. I walked away and he started crying. I waited 2 min.I went back for a back rub. He woke up again as I walked away but I waited and he fell asleep on his own 2 minutes later. NO MORE DAY NAPS IN HIS ROOM. I figured that I only wanted to do so so he gets used to his room. Right now I still enjoy my time during the day as have stuff to do and co-sleeping for a quick nap. NIGHTIME: We went out for date night and Jackie was babysitting him. 8:00pm: he fell asleep easily with her just rubbing his back. 10:00pm: loud ambulance woke him up and he was not having it so she brought him back to our bed. I didn’t have the energy to move him and he was soundly sleeping. 6:45 PM: (He was exhausted and grumpy.) fell asleep with very little trouble. no crying. a little back rub, I even walked away before he completely fell asleep. 12:00pm woke up crying. Kyle went and rubbed his back. fell asleep easily. Yay daddy! 2:00 am: woke up crying. talked to him, and let him know I’m here. Waited for him to fall asleep. 4:00 am: I was very close to bring him back but I stood my ground! gave him a bottle, talked to him, told him I’ll see him in the morning. Cried for two minutes and fell asleep. 7:20pm: Playful, rolled around, no crying at all, he even seemed happy to be in his bed! went to sleep in 20 min with back rub after a little fun in his crib and story time. 10:00pm woke up. Kyle went in and rubbed his back to sleep. fell asleep like a breeze. 12:00 woke up a little unhappy, gave him a bottle and walked away. he fell asleep on his own. cried for less than a minute. 2:00 woke up quietly, no crying, I just saw that he was moving around and he self soothed to sleep. He whined a little but I didn’t get up. 7:40pm: a bit of a later bedtime because he was playful and we did story time with daddy. Put him down, rubbed his back, noticed he was self soothing and seemed at peace so I walked away and he fell asleep on his own. 4:30am: woke up whining but I waited. He calmed down, rolled around a little and self soothed back to sleep. I happily stayed in my bed. 7:50: I was awake before him!!!!! he finally woke up and we wished him a very happy morning! all moms have different situations, some moms start sleep training very young while others on the later side, which is my case and also because I didn’t have the education about sleep that I have today. Sleeping through the night is a fully fed baby & a baby that is taught good habits. It doesn’t mean that you feeding them at night is a bad habit but in the long run, it will not work for you anymore. Implementing new habits by slowly changing old habits is a gentle way to tell your baby that things are changing around here. Within a couple days or weeks, they will stop waking up as long as you soothe them in every other way than a feed when you know they’re fully fed from the day. I know Oliver’s sleep will change a lot and that’s how kids are but this is a huge accomplishment for us! I decided that I just wanted to make sure he knows he’s safe and not feel distraught without ever crying it out! this is proof that a baby can learn healthy sleep habits in time with gentle parenting. it’s a lot of work but it’s worth it! my father did this with me and my little sister! it was very helpful to get his advice and seeing how successful it is with my 3-year-old sister. Kyle and I are enjoying our bed again as we also very much enjoyed sleeping with Oliver and will never forget the special moments shared. hope this helps and I am offering sleep consultations! for more information, click here.